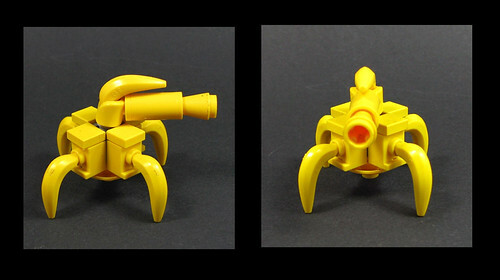 Banana gunbot, originally uploaded by Karf Oohlu. Absolutely love this banana gunbot by Karf Oohlu. Great use of bananas, yellow 1×1 tiles, a minifig hand, some washing machine bricks, etc.